Debts, when unplanned or gone into in haste, can be quite expensive. If your business loan is costly and charges you a very high-interest rate, then you will end up paying a high amount of installment towards your loans. Moreover, you may have a tough time remembering the due dates of several loans at the same time. 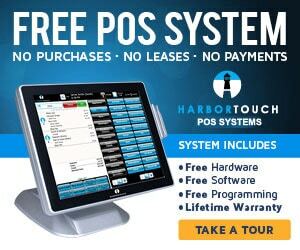 Harbortouch, a leading national point-of-sale (POS) system provider, today announced the launch of a new premium POS software suite for the foodservice industry: Harbortouch Bar & Restaurant (HBR). Shift4 Payments, the leader in secure payment processing solutions, has launched its brand new Lighthouse Business Management System for customers who use the company’s point-of-sale (POS) solutions and payment processing services. POS Security Deadline for PCI Compliance was June 30, 2018 – Are You Compliant? SSL encryption is a standard encryption method used for decades. A vulnerability named POODLE has been detected within SSL and is no longer PCI compliant. POODLE (Padding Oracle On Downgraded Legacy Encryption) is a vulnerability in SSL that could allow a hacker to extract data from secure online connections. Can Accounting Software Help Keep Your Cash-only Business Legal? Running a cash-only business means you strictly accept cash payments and pay in cash, leaving out a credit card and electronic payments. Although it might seem like a way to cut back on time and eliminate credit card fees, cash businesses can quickly come under IRS scrutiny for underreporting income and taxes.